At the SCG today, Phil Hughes knew immediately that he had not made the catch off Cook on 99. 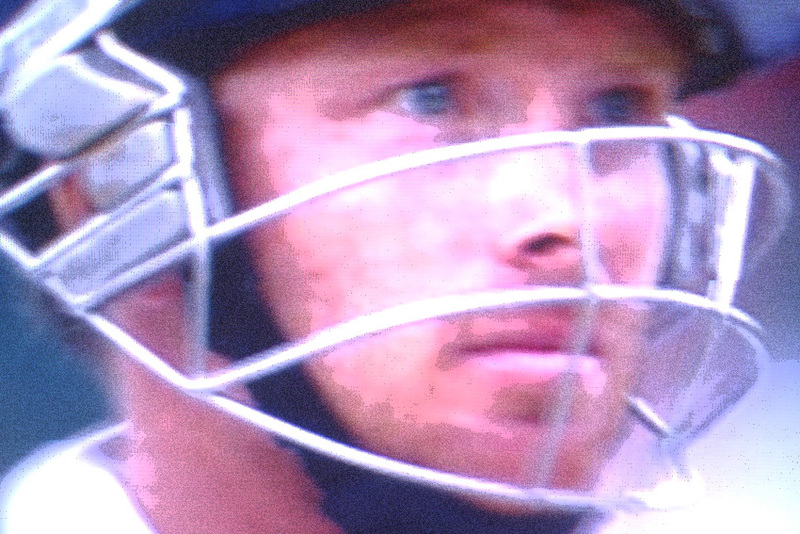 Ian Bell knew immediately that he had nicked the ball. From an early age those who go on to play cricket learn the difference between catching a ball on the way down and a ball rising as a half volley from the ground. The two have a totally different feel on the hands. Cricketers can tell with their eyes shut. Similarly, but from a not quite so early an age, a batsman learns the feel that comes through the bat when he has edged the ball. There is no mistaking that sensation of ball on bat, however faint. It is totally different from the feel from a bat having clipped his pad or his foot on the way through its swing. Both Hughes and Bell also gave the game away in their body language and ill-disguised hesitations when questioned by team mates or interviewers. These are professional sportsmen who almost daily risk losing their livelihood, especially in the early stages of their careers, at the hands of poor umpiring decisions augmented by the ploys of their opponents. That is why there are umpires. It is why the game must give them every possible technical aid as quickly at their disposal as technically possible. Why administrators and referees must come down hard on any action that seeks to influence or pressurise the decision taking. And why there must be no toleratation of descent once a decision has been made. Professionalised cricket is an industry. In each match there are in the region of twenty five small firms ‘in play’. If the chairman and chief executive of one such firm stands, rather than walks, claims falsely, rather than fesses up, we should not be surprised. It is a business decision. But there is a place for ethical self-respect in business and in life. The choice is with the individual. Meanwhile Bell demonstrated the kind of batting described here yesterday with back foot shots played to the rising ball through a full arc around the field interspersed with sumptuous front foot drives that threaded the field. His balance footwork and timing were magnificent. A compilation that in early November might have struck the reader as bizarre. At close of play, Cook confided to an interviewer that, batting the way he has since Brisbane, there have been periods when, as for a Zen master encountering the sublime, time passed in a blurr. ‘Is it really effing drinks already, mate?’. 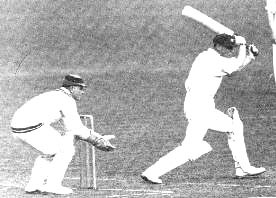 It was meet therefore that his 189 took his series total beyond that of Herbert Sutcliffe’s huge achievement in the Ashes of 1924/25. 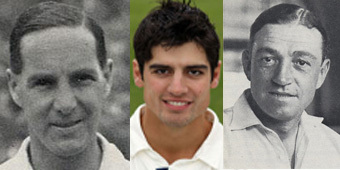 Cook’s total is still some way short of W.R. Hammond’s 905 [at an average 113.12] made in 1928/29, which fact underscores Hammond’s achievement and in no way diminishes that of Cook. 1928/29 is still the closest template for this series that sadly for England supporters is drawing to its close. While some were boarding the Torbay Express to spend the summer on the English Riviera 25,000 were queuing down the St John’s Wood Road to watch the second Test between England and Australia at Lord’s . They can be seen on a Pathe News film here. After the wash out at Trent Bridge, there was great excitement as Carr and Collins tossed for innings surrounded by spectators. Was it an early example of the media dictating terms or did the Captains really not bother making their way to the middle? “We’ll have a bat,” said the Australian captain. The Larwood Express had been brought in for Hearne but no one and nothing – not even leg theory with four short legs, three behind square – could stop the great Bardsley from ‘taking his bat out’ for 193 in Australia’s 383 all out. In England’s ‘dig’, Hobbs (119) and Sutcliffe (82) put on 182 for the first wicket, then, Woolley (87), Hendren (127*) and Chapman (50*) took the score on to 475 for 3 declared. What a batting exhibition that was. Macartney, whose birthday fell on the Sunday rest day, made the first of his three centuries as a forty year old (133*) when Australia batted out time on the third and final day of the match. Pathe News now takes us on to Leeds and another draw with Australia making 494 (Woodfull 141, Macartney 151 and Richardson 100 all scoring big) and forcing England to follow on 200 behind. In their second innings England did a Gabba Twenty10, scoring 254 for 3 with Hobbs and Sutcliffe putting on 156 for the first wicket to save the three day Test match. At Old Trafford there was yet more rain, causing another late start on Saturday’s opening day, this time followed by just 10 balls and 6 runs for the frustrated spectators. Hobbs, deputising for Carr as the first professional captain for 39 years, could not stop Woodfall from making his second successive century and Macartney his third in a row. When England had made 305 for 5, time was called on another draw, increasing the public clamour for four-day Tests. For the deciding and timeless Test at the Oval, Chapman took over the England captaincy. Australia led on first innings by just 22 runs. It was in England’s opening innings of the match that Hobbs, playing ‘divinely’, missed a full toss from Mailey, sadly not captured here by the cameera man. Surely the famous ‘miss’ can be explained by the amount of drift and dip the wrist spinner would have got on the ball – imagine Warne’s wonder ball, but without the pitch and turn. England then made 436 with Hobbs (100) and Sutcliffe (161) putting on 172 for the first wicket. This does not tell half the story. With an overnight score of 49, the pair had resumed the next morning after torrential overnight rain. As the sun cooked the wicket, Richardson’s off-breaks from the Vauxhall end and Macartney’s slow lefty arm from the pavilion end turned and kicked viciously – here imagine Underwood in ’68 bowling from both ends. This was extraordinary batting. 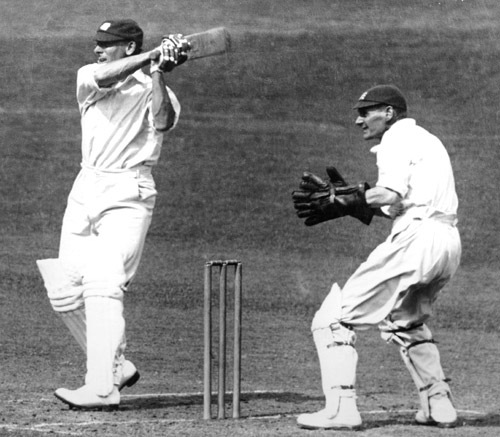 Requiring 415 to win, Australia were ripped apart by Larwood (3-34) then Rhodes (4-44). 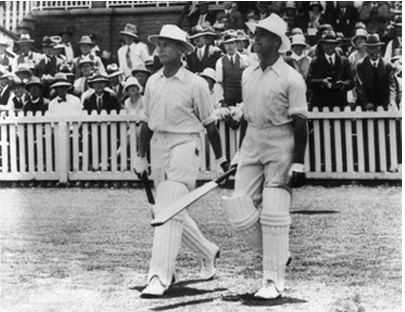 It is often remarked that Gregory batted without gloves even to Larwood. Can that be true? Gloves were skimpy affairs with the sausages on tapes that were wound round the hands and would have been difficult to see on film. But surely this film confirms that the Australian faced his opposite number without gloves. And so England won the Ashes for the first time in 14 long years with so much real death and distruction between that it was really a different world in which Pathe News captured a pitch invasion as if it was a West Indian victory in the 1970s. “We want Chapman …We want Rhodes,” roared the crowd. All this captured in 14 minutes of celluloid. For those counting the minutes to midnight tonight, this film offers more interest than yet another 14 minutes of pre-match twaddle from Sky. Do please have a look. 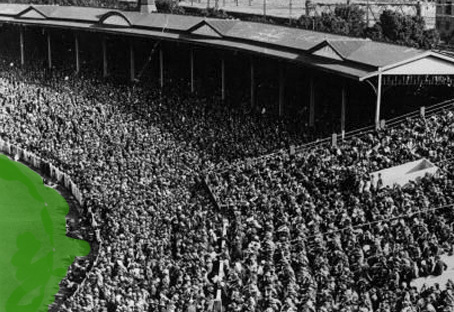 As the cricketing world waits for the start of the 2nd Test in Adelaide tomorrow night, Third Man has taken his Mark III time machine back to a very wet Trent Bridge in June 1926 – one month on from the General Strike, one year on from Britain’s disastrous return to the Gold Standard, eight years on from the end of the Great War. That day’s action (and others in that summer) were captured by Pathe News. A 14 minute compendium of their news reels can be viewed here. A crowd of 20,000 had turned up to watch the first day’s play. 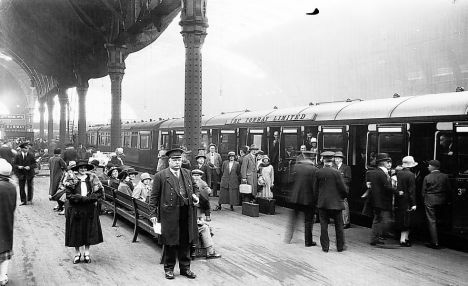 Their numbers contained those who only days before had been striking and those who only those same days before had been volunteering to keep services running. However, these were the men who a decade before had fought together side by side, making the best of unimaginable circumstances. They would not be divided for long. Now they stood together again, making the best of the delay in the start of play caused by incessant rain. These, who had witnessed the horrors of that war, who had lost comrades and some of the best years of their lives, who still had nightmares that kept their memories sharp, were determined to enjoy their cricketing heroes in their encounters with their erstwhile comrades in arms, the Australians. England had last won a series against them in 1912 – it could have been a hundred years ago for all that they had experienced in the intervening years. They would lose themselves in the cricketing feast before them, but they understood its proper proportion in the scheme of things. In 1921 the Australian fast bowlers had been dominant, but in 1926 only Gregory remained. The England openers, Hobbs and Sutcliffe, never failed to better 50 runs in their six completed partnerships. In a rain affected series they scored 486 (av 81) and 472 (av 78.66) respectively. For Australia, ‘The Governor General’ and survivor of the 1909 tour, Charles Macartney whose fortieth birthday would fall on the rest day of the Lord’s Test made 473 (av 96.60). On the opening day of the series the start of play was delayed by rain. When, in gloomy conditions, the players did manage to get onto the field at 12.15, England scored just 32 runs before further rain drove them off for good. Gregory was quick but at the other end Collins used the slow left arm of Macartney, bowling negatively from over the wicket on a leg stump line to a field with three short legs. To remind us of the playing conditions operating in those days, the film shows the wicket fully covered while everyone waited for play to begin but, then, just two short covers over the creases after play had begun. It rained heavily again on Monday and Tuesday and no further ball was bowled in the match. 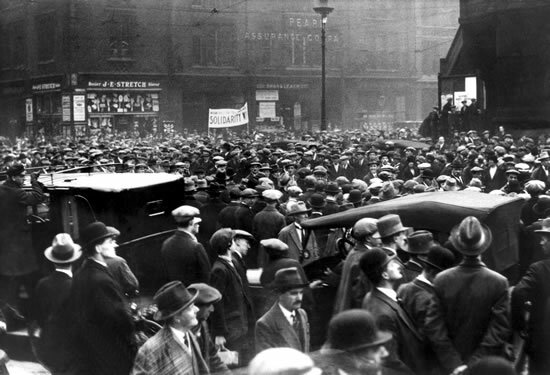 When the ending of the General Strike had been announced some employers wished to turn the surrender into a rout. They and the Baldwin Government were not able to do so because, on the hint of this, the many former soldiers among the volunteers made it clear that they would have no part in such a campaign. They were all off to the cricket, together, no matter the weather. Tomorrow we follow the crowds to Lord’s. No one in the pavilion on the sixth morning of the third timeless Test of 1928/29 was prepared to give odds on an England victory. A thunderstorm had broken over Melbourne in the wee small hours and another heavy shower had fallen at eleven-thirty. Now the sun was shining fiercely, cooking the wicket into the consistency of glue. The banter was raucous as the crowd waited for the home side’s second innings to resume at 347 for 8, already giving them a surely untouchable 328 runs lead over England. The odds on offer that morning were ten to one against England getting 200 on that wicket and fifty to one against anyone scoring a century. The old firm of Messers Trumble, Hill, Armstrong and Darling in their accustomed seats made it known that, as far as they were concerned, an England score of 80 would be on the steep side. A week before, to the day, the England Captain and Uppingham Rover, Percy Chapman, had called heads. Seeing it fall tails, Australia’s Ryder, said he would have a bat. An hour or so later with his score at 57 for three the decision looked to have been brave, but centuries from Kippax and Ryder himself took the score to 282 for five. Bradman with 79 before he hit over a yorker from Hammond help his side grind out 397 in a little under two days. In England’s first innings Hobbs fell early, then, Sutcliffe and Hammond put on 133 for the second wicket. Scoring almost exclusively through the off-side, Hammond, carved out his second double hundred in consecutive innings and, with a painstaking 62 from Jardine, England posted a 20 run lead after four and a half days cricket. The match had become another war of attrition. In Australia’s second innings Woodfall and Bradman made centuries, so that when Oxenham and Grimmett finally took the field on the second Friday of the match and surveyed the damp and drying gluepot it seemed to matter little how many more they scored. As the remaining three batsmen wore blows to the head, shoulders and neck in adding but four more to the overnight lead their sacrifice served only to remind the 60,000 spectators that the result of this match was a forgone conclusion. Ryder led his men out to deliver the coup de grace. 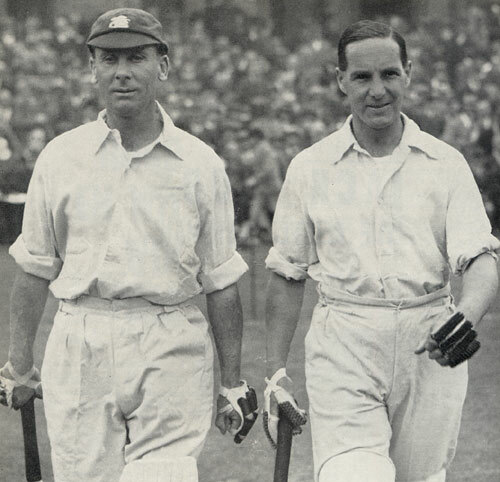 At their heels, from the pavilion into the fierce sun, emerged Hobbs and Sutcliffe not dishevelled by their time in the field, not downcast and beaten, but with a quiet confidence, relaxed and immaculately turned out in their splendid white hats, crisp shirts, creased flannels, whitewashed pads and devoutly sanded bats. "Why not Bert?" "One ball at a time Jack." Had those confident Australians turned to watch this extraordinary opening pair, they may have had an inkling of what was to come, but they did not. Fired-up the opening bowlers, a Beckett and Hendry, speared each delivery into the spiteful morass and, along with their team mates, saw only red and revenge for Brisbane and Sydney. Hobbs dropped his hands and took a blow. Sutcliff used the same defence. After two overs they inspected the pock-marked surface, which yielded like rum flavoured ginger cake as they replaced huge divots and made things as tidy as they could. “Why not?” murmured Jack leaning over the same crater as his partner. “We have only to play one ball at a time,” answered Bert, gently tapping, gently tapping. Twice Hobbs was let off, and once his cap was knocked flying by a ball that spat like a camel and kicked like a mule, but soon each batsman realised that the length and tactics the Australians were pursuing were wrong. The pair reached their first target, the replacement of a Becket and Hendrey with Grimmett and Blackie. Their plan was coming together. Get to tea. And so unbelievably they did; 78 for 0. Get to stumps and allow the morning roller to take out all the lumps and the sun to bake it hard and flat. But could they really steer the ship to so distant and so rock-ringed harbour? They thought they might but now developed a contingency plan to share with their captain. Hobbs called for a new bat. Half a dozen were brought out to him. Was it that old friend Mead who brought them? Did the three old pros talk things over together while Jack tested each blade in turn before returning all of them to the dressing room, along with a message to his captain. 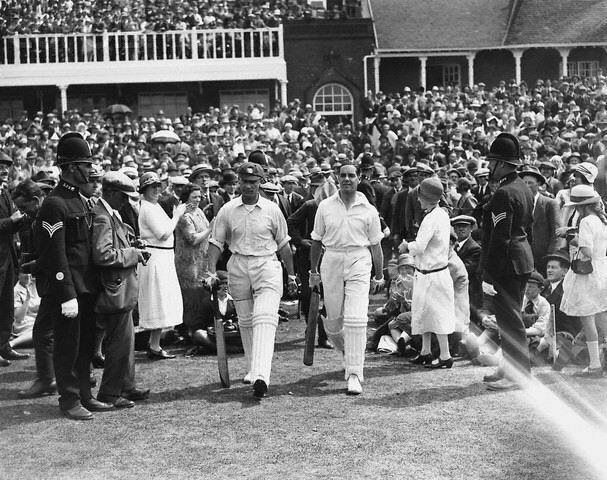 Bruised, battered but eventually beaten by Blackie for 49, in an opening partnership of 105, Hobbs returned to the pavilion and nodded in turn to the applause and disbelief of Messers Trumble, Hill, Armstrong, Darling and 60,000 other Australians who could not but put aside their passionate patriotism to acknowledge that they had seen something very special that afternoon. Jardine joined the by now modestly confident Sutcliff and, each taking their share of corporal punishment, saw the day through: 171 for 1. And on the Seventh Day, though there was still much to do, Sutcliffe made victory certain. 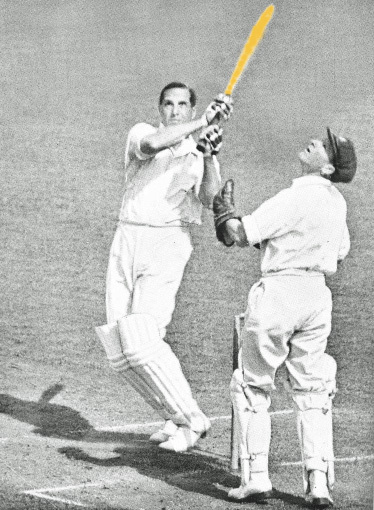 England were just 14 short of their gargantuan target of 332 when he was finally out for 135 and, although three more wickets tumbled quickly after him, Geary picked up a shot ball from Ryder for the winning shot, sending it to the boundary just yards ahead of a frantically pursuing Bradman. It is difficult to conceive of a heavier blow than this that Sutcliffe, Hobbs and England had struck. Chronologically the seven days of this Test spanned the years 1928 and 1929, but its ramifications reach down to us even as the two old foes prepare for their first encounter in the 2010 series – though 82 years of cause and effect, de-selection and selection, attack and counter, innovation and answer, humiliation and revival link Strauss and Ponting, Pietersen and Clark, Andersdon and Johnston with the ghosts of Hobbs and Woodfull, Sutcliffe and Grimmett, Larwood and Oldfield. 1928/29 begat 1930, 1930 begat 1932/33, 1932/33 begat …2010/11. This Test was indeed timeless, it’s karma enduring.